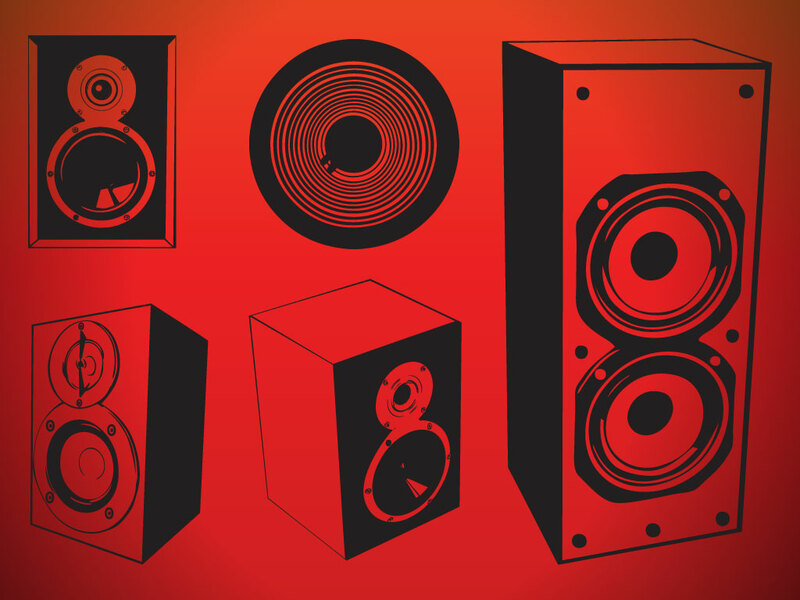 Download this set of one color stereo speakers for your audio, party and music designs. These slick speakers will look great on a poster, post card or business card. Tags: Audio, Bass, Hi-Fi, Listen, Loud, Music, Sound, Speaker, Stereo.